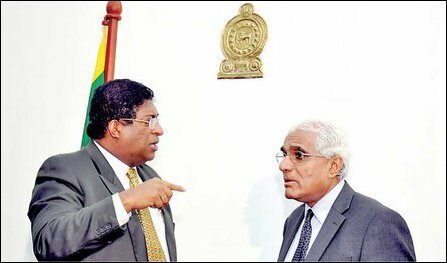 The so-called Financial Investigative Unit (FIU) of the Central Bank of the unitary State of genocidal Sri Lanka (CBSL), which is led by a Colombo-based ‘Sri Lankan’ Tamil, Indrajith Coomaraswamy, is scheming rigid controls on Community-Based Organisations (CBOs) in the North-East with a ‘counter-insurgency’ role. The Central Bank is deploying the provisions of the Financial Transactions Reporting Act, No. 6 of 2006 (FTRA), which was gazetted by the former regime of Mahinda Rajapaksa, for financial surveillance on Eezham Tamils, both in the homeland and in the Diaspora. The Central Bank of the unitary State system has become another Colombo-centric authority to wage structural genocide against Eezham Tamils with a sophisticated global network as well as sharing intelligence and surveillance with the military and police of the genocidal State. The latest move by the FIU targets to rigid step-up controls on Community-Based Organisations (CBOs) further compromising the independence of community organisations in the North-East to interact with the Tamil diaspora in receiving financial assistance, informed civil sources in the East told TamilNet this week. 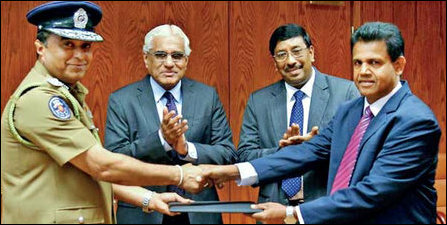 Established as an institution under the SL Ministry of Finance and Planning under Mahinda Rajapaksa in 2006, the FIU was brought under the Central Bank as a department in February 2007. FIUs operations are two-fold: Anti-Money Laundering (AML) and Countering the Financing of Terrorism (CFT). All independent political and development work carried out by native organisations in the North-East is seen as potential ‘terrorism’ by the unitary State. Even the activities of democratically elected Northern Provincial Council (NPC) are given such interpretation in the South. (A concrete example of this attitude came to light in the manner Colombo responded to a move by NPC Chief Minister Justice C.V. Wigneswaran who wanted to establish Chief Minister's Fund as an independent mechanism of funding rehabilitation and alternative development work in the Northern Province). 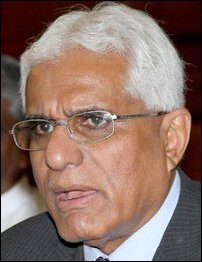 Dr Indrajit Coomaraswamy, a Colombo-based ‘Sri Lankan’ Tamil with dual British citizenship, was appointed as the Governor of the CBSL in July 2016. He is also the Chairman of the Anti-Money Laundering and Countering the Financing of Terrorism (AML/CFT) Coordinating Committee. At the operational level, the FIU is tasked with prevention, detection, investigation and prosecution of offences categorised as ‘money laundering’ and ‘terrorist financing’. The data systems of Banking, Customs, Military and Police Surveillance, Immigration and Emigration are being connected into a common information system framework by the FIU at the island- regional- and at international level. D. M. Rupasinghe, a Sinhalese is the current director of the FIU. Since 2007, the FIU has put in place a sophisticated network of counter-insurgency surveillance through framework agreements and training conducted outside the island. Global financial institutions such as the IMF and the World Bank have been advising the Central Bank, which is satisfying the needs of the genocidal Agent State through putting in place a global surveillance framework, designed to keep Eezham Tamils and their Diaspora suppressed from evolving its economy and development at grassroots level. Financial Crime Enforcement Network (FinCEN / USA), Australian Financial Transactions and Analysis Centre, Transaction Reports and Reports Analysis Centre of Canada, Financial Intelligence Unit of Belgium and Financial Intelligence Unit of Denmark are some of the institutions from the host countries of Tamil diaspora. The FIU has also signed MoUs with Israel Money Laundering and Terror Financing Prohibition Authority, Federal Financial Monitoring Service (Russia), Suspicious Transaction Reporting Office of Singapore and Financial Intelligence Unit of Bank Negara Malaysia amongst others. The Sub-Group on Combating the Financing of Terrorism of the Bay of Bengal Initiative for Multi-Sectoral Technical and Economic Cooperation (BIMSTEC) was playing a role in strengthening ties of the ‘Sri Lankan’ FIU at the regional level. 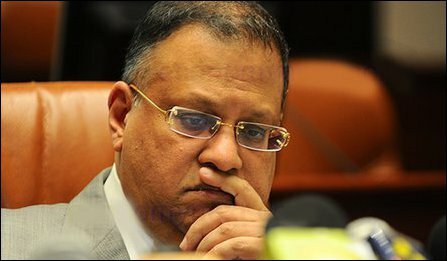 Former Central Bank Governor, Arjuna Mahendran (January 2015 - June 2016), who is also a Colombo-based ‘Sri Lankan’ Tamil, was later named as a suspect in the infamous multi-million dollar bond scam, was last seen in Singapore, where he is having a dual citizenship. The emergence of the FIU, the modus operandi of the British and Singapore linked ‘Tamil’ governors of CBSL and the global engineering behind it need further perusal. The Tamil organisations in the homeland as well as in the Tamil diaspora need a deeper understanding of the origins of the ‘Sri Lankan’ discourse promoted by the foreign powers. Eezham Tamils need to conceive alternatives in an informed manner without living in a world of self-deception with the attitude of cats closing their eyes while drinking the milk. 23.11.17 SL military intelligence, Sinhala Police step up surveillanc..
26.06.17 Multi-pronged ‘Intelligence’ harassment on CBOs, local NGOs ..
19.06.17 NGO activist in Jaffna urges Tamil diaspora to be vigilant o..
05.06.17 Colombo eliminates NGO independency in North-East through Ma..